Forbairt Naíonraí Teoranta will be providing a Dianchúrsa (intensive training course) for Naíonraí Directors at the end of May, 2010 in Dublin. As a result of a substantial increase in demand received for the Dianchúrsa for Stiúrthóirí Naíonraí (Directors) this year, Forbairt Naíonraí Teo. is organising a further Dianchúrsa from the 24-28th May 2010, which will run Monday to Friday between 9am-5pm. The course will take place in Dublin city centre. The Dianchúrsa provides the basic qualification required by FNT to work as a Naíonra Leader. Those who wish to attend the Dianchúrsa will be required to sit an Irish language interview in order to assess their standard of Irish. The Irish language interviews will take place in Dublin on the 11th and 12th of May 2010 in the Marino Institute of Education, Griffith Avenue, Dublin 9. This is a fundamental course, through the medium of Irish, which covers the management and running of a Naíonra. It is aimed at Naíonraí Assistants and anyone with fluent Irish who is interested in using the language with young children. This course is mandatory for anyone who wishes to start a Naíonra under Forbairt Naíonraí Teo. Presently there are 156 naíonraí registered with Forbairt Naíonraí Teoranta, with over 3,500 children attending childcare services through Irish. Forbairt Naíonraí Teoranta is working continuously with the other main Irish language voluntary organisations to promote the language, along with childcare and education through the medium of Irish, especially with regard to Total Early Immersion Education. Forbairt Naíonraí Teoranta is an all-Ireland voluntary organisation that supports the promotion of care and education services through Irish, for children from an early age. Forbairt Naíonraí Teoranta provides support for the establishment, development and administration of the following services through Irish, naíolanna, naíonraí, school age services, summer camps and parent/guardian and toddler groups. 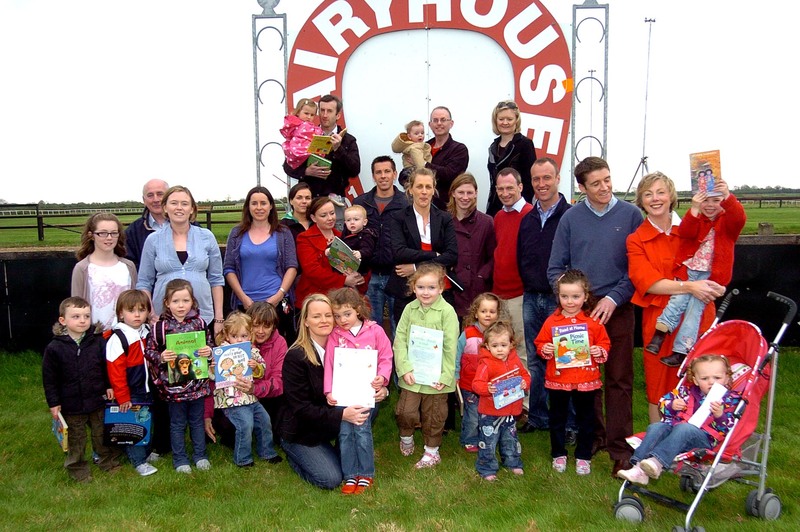 The founding committee of Gaelscoil Ráth Tó have announced that they are to set up the school without departmental recognition in September 2010. Speaking on behalf of the committee chairperson, Anita Sheppard, stated that they were being assisted in this endeavour by the parents and by a number of Irish-language organisations who are also determined to see Gaelscoil Ráth Tó open. The organisations in question are An Foras Pátrúnachta, Glór na nGael, Comhluadar, Conradh na Gaeilge and Gaelscoileanna Teo. The collective campaign has been names Aitheantas (Irish for ‘Recognition’). “Despite the refusal of the Department of Education to recognise the school, even though new school provision is needed in Ratoath, we have decided to proceed with establishing the school on an un-official basis with the generous support of the Irish-language organisations mentioned. We aim to place heavy pressure on the Department to recognise this school. We are working with individuals in the Irish-language organisations mentioned who have extensive professional experience in running Irish-language schools and we are all confident of achieving the Department’s recognition,” Anita Sheppard stated. “We have seen huge demand shown for this school in Ratoath, but the Department refuses to differentiate between new schools on the basis of the language of tuition in the school. This means that the Irish-language rights of both parents and children are being disregarded and everyone involved in this campaign believes that this is a situation that cannot continue. Not only do we want to see Gaelscoil Ráth Tó recognised, but we wish to see the Department change their criteria for the recognition of new schools, which is currently stacked again new Irish-language schools. The result of this is that no new Gaelscoil has been approved since 2008 and the Department have not indicated that this situation will change,” he continued. “This is as much a national issue as a local one for the Gaelscoileanna movement, which is one of the fastest growing education sectors in Ireland. We would simply like to see a fairer approach by the Department regarding the setting up of schools that teach through the medium of the first language of the state, according to Article 8 of Bunreacht na hÉireann. Five Irish language organisations have announced that they are cooperating in supporting a newly established Gaelscoil. Conradh na Gaeilge, Glór na nGael, Comhluadar, An Foras Pátrúnachta and Gaelscoileanna Teo. have announced that they are united in their efforts to support the founding committee of Gaelscoil Ráth Tó. The campaign called Aitheantas (Recognition) has been established to ensure that Gaelscoil Ráth Tó gets Departmental sanction and that the provision of Irish Medium education be part of the criteria the Department uses when selecting areas for new schools. The Department has refused to sanction Gaelscoil Ráth Tó even though the Department has stated that there is a need for more educational places in Ratoath. The Dept. is ignoring the wishes of the parents of Ratoath and the demand for Irish Medium Education. Welcoming the pledges of support, Seán Ó Buachalla, Chair of the school committee, said “we have a lot of work ahead of us to ensure that Irish Medium Education is available to the Ratoath community and the stance taken by the wider Irish language community gave the parents here a great boost”. The organisations have vowed to provide support to the Ratoath community as they demand parental rights and the response from the Dept. they deserve. Gaelscoil Ráth Tó will open on 1st September at Ratoath GAA, Sean Eiffe Park, Brownstown, Ratoath, Co. Meath. Pat Carey, the gaeltacht minister, has expressed concerns that higher-level Irish will be dumbed down under a new “literature-lite” Leaving Cert syllabus being introduced in September. The new curriculum, at higher and ordinary level, awards half the marks for oral and aural tests, and reduces the marks for literature from 30% to 16.7%. The amount that pupils have to read on the higher-level course is being cut to 79 pages of prose extracts and poetry. “I am anxious that the approach being taken could have an impact on our objective in the 20-year strategy for the Irish language to have 250,000 speakers — three times the current level — using Irish daily outside of the education system,” said Carey. Reuben Ó Conluain, an Irish-language teacher at Dublin’s Alexandra College, said that higher-level Irish students currently study 13 poems and at least one book or work of prose. Under the new curriculum, they will only study 10 poems and an extract from a work of prose. “The student with a more advanced level of Irish will go through the system now oblivious to the fact that we have wonderful literary achievements in Irish,” said Ó Conluain. Carey said concern was building among gaeltacht communities that the course will not challenge students from Irish-speaking homes. Representatives of the gaelscoileanna movement have voiced concerns that Irish-speaking pupils from non-gaeltacht backgrounds would not be sufficiently stretched. GAELSCOILEANNA TEO. has developed a new website. The website gives a fresh insight into every aspect of the organisation’s work. It intends to facilitate users into gaining a better understanding of Irish medium education. The new website boasts many up-to-date applications including a list and contact information of all Irish medium schools, its e-newsletter as wells as archived newsletters. Information can also be found on the organisation’s annual conference and provides advice in relation to establishing new Irish medium schools. The website also contains a lot of material that can be downloaded such as lectures, presentations, training material for boards of management, publications and lots more. A DVD with valuable information on Irish-medium schooling, issued in conjunction with Comhairle na Gaelscolaíochta can be found on the website’s main page. The website also showcases numerous photographs on different events that have taken place amongst the Irish-medium schooling community.